coding and layouts and who knows what. A coding dump for layouts, tables, whatever. Done for fun, don't take it seriously, credit & comments aren't necessary but they're appreciated. If something screws up, just holler. Taking coding requests and commissions, just shoot me a PM. — If you're using DW's default layout, you're golden. Otherwise, go here and pick one. 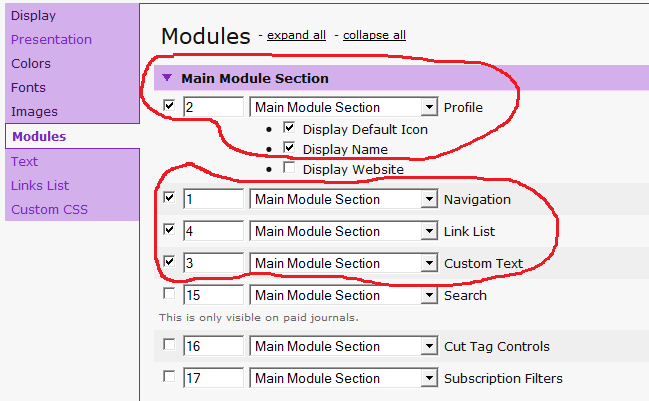 — Pick 3 Columns (Sidebar on Left). 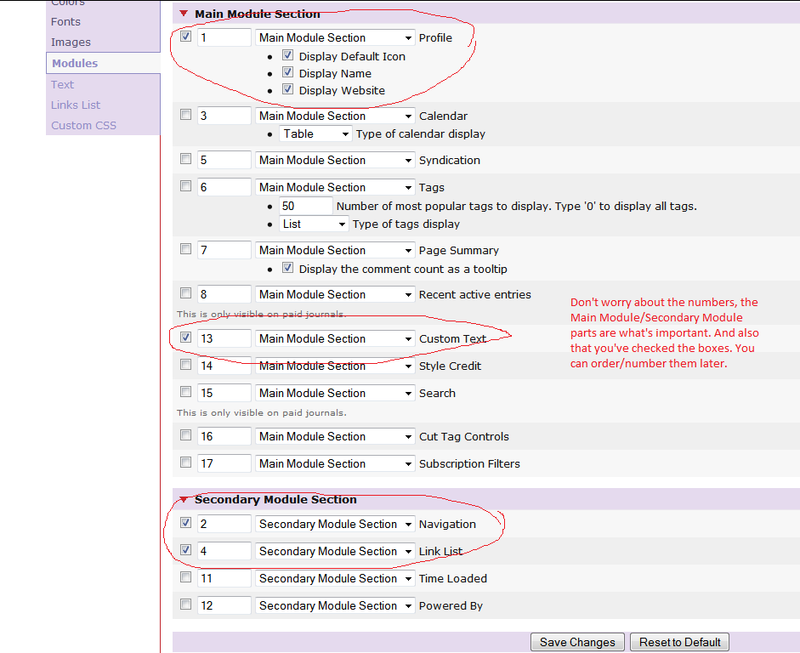 — Under the modules tab, uncheck everything except: Custom Text, Navigation, Profile, and Links List. It should look like this. — Custom comment pages are functional, but the flat-view and top-level links are out of whack, I can't figure them out yet. — Tested on Firefox and Chrome, let me know if it's not working on your browser. — Edit to your heart's content, idk.